Notes: Certain mayflies will split their wingcase while emerging from the water column. 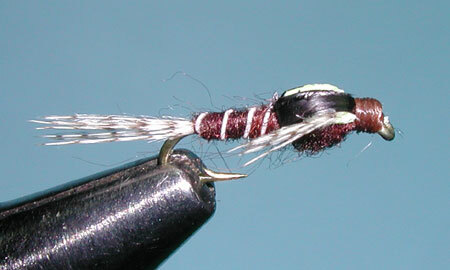 This exposes the wing and is a triggering mechanism for many trout to strike. Solitude Fly Company came up with this design and it has gained a wide acceptance among many guides within the Sierra. Black Biots are used for the wingcase but you could substitute this with Black Thin Skin or Scudback. The foam wingbud is .5 mm thick. You can color this foam to any triggering color you prefer, yellow is preferred by most. Try varying the spacing between the biots for different exposures of the wingbuds. Ultra Wire is used to create a segmented abdomen. 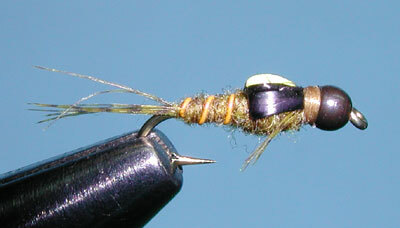 Superfine Dubbing is used as the body material for the PMD and BWO. These are small patterns, size 18-20, that need a less bulky material. 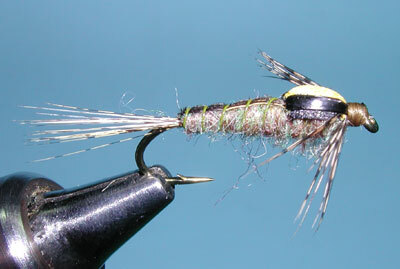 The Green Drake pattern is much larger and using a nymph dubbing, such as Mercer's Buggy Nymph, will work better to allow the nymph to submerge properly.